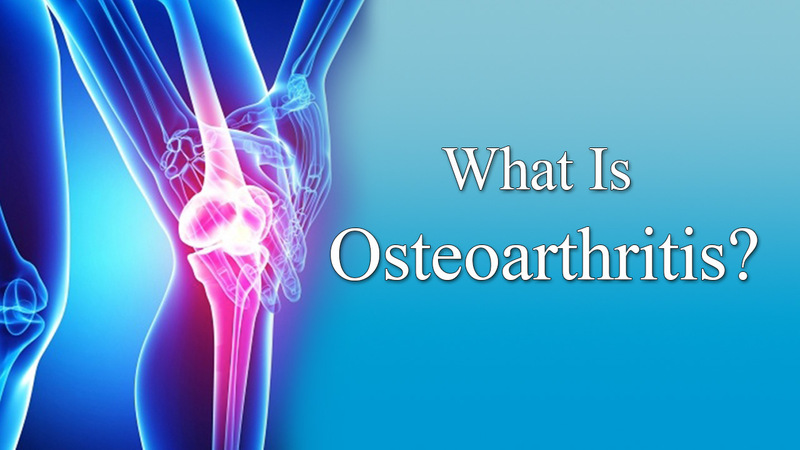 Have you ever wondered “what in the world is osteoarthritis?” Osteoarthritis has many different names including OA, degenerative joint disease, osteoarthrosis and degenerative arthritis. 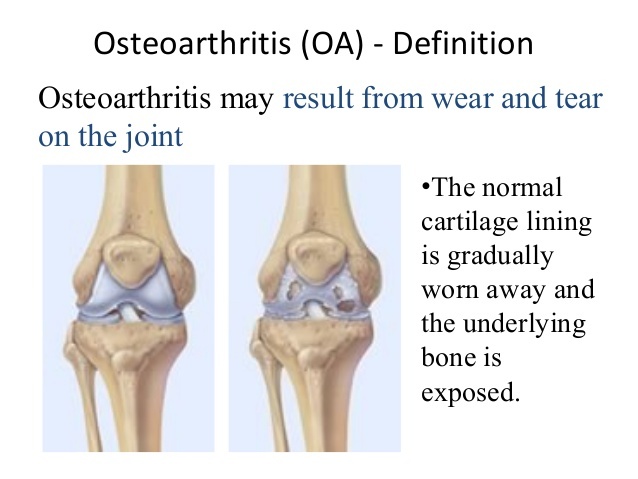 As some of those names allude to OA is degenerative process that continues to progress with age, wear and tear. The process is a breaking down of the cartilage or surfaces in the joint. When this occurs, it leads to pain, stiffness and swelling. 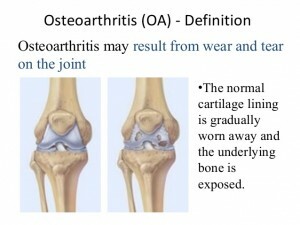 If you are in your 70’s, you have some degree of arthritis in your joints. Just because you have arthritis, it doesn’t mean that you have to be in pain or limit your activity. There is no reversing arthritis but it is possible to minimize the symptoms. As a physical therapist, I see patients who maintain their strength, flexibility and weight manage their symptoms the best. Additionally, if a joint is flared up, it is possible to decrease inflammation and resulting pain. 1: Stay Active. Motion is good for your joints. You may notice that your pain is worst after sitting for period of time or upon waking. This is because inactivity can actually promote inflammation. 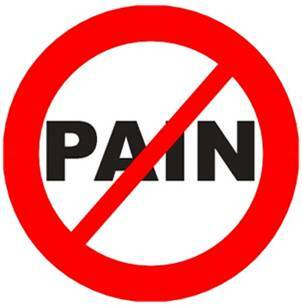 So low impact motion will keep inflammation from accumulating and actually reduce your pain. 2: Stay strong. Your joints rely on your muscles and tendons to stabilize the joints. So it is extremely important maintain your strength. Exercises performed in a non-weightbearing fashion are tolerated better than weight-bearing exercises. 3: Maintain a healthy bodyweight. Studies have shown that for every pound of weight loss 4 pounds of force is reduced on the knee. Additionally, weight loss is correlated to improvement in function. 4: Seek help. If your arthritis is limiting your ability to enjoy your life and/or do your job, consult a medical professional. From physical therapy to surgery there is a whole spectrum of conservative to invasive procedures that may benefit you. A new revolutionary program, Joint Nutracare, has been designed to facilitate relief. 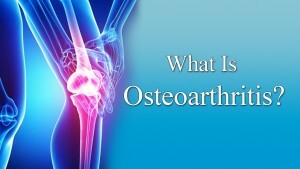 It gets to the root of the problem that causes osteoarthritis for long-lasting relief. As a physical therapist, we offer several things that will benefit a person suffering from osteoarthritis. Hands-on therapy can help improve your flexibility by stretching the connective tissue around the joint. This improved tissue flexibility decreases stress on the joints. Additionally, osteoarthritis pain is often decreased through specific exercises that can be prescribed. We offer many other revolutionary treatments. Call today for more information. If you are suffering from arthritis pain, you would benefit from physical therapy. Contact us directly at Physio Physical Therapy & Wellness Asheville if you have any questions or would like to schedule an appointment. We regularly help patients manage their arthritis pain and put off the need for surgery. (828) 348-1780.